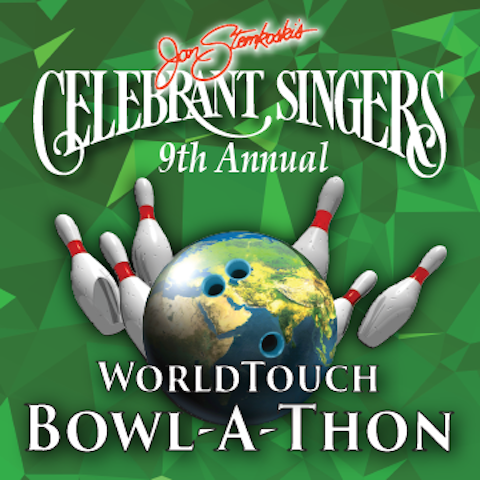 The Celebrant Singers WorldTouch Bowl-A-Thon has been a fan-favorite since its inception in 2011. Funds raised are essential to help train, mobilize and deploy Celebrants onto the mission field for the 42ND YEAR in a row! Every few minutes throughout the event wonderful door prizes are given away. As a bowler, you’ll have many chances to win fine and casual dining gift certificates, event tickets, gift baskets, and much other fun and valuable items–all sourced from local businesses! -The satisfaction of knowing you’re helping send Celebrant Singers to reach hurting people with God’s love! For more information visit celebrants.org/bowlathon or call (559) 740-4000.